Kitabul Hajj The book of Hajj written by Mufti Muhammad Ashiq Ilahi Bulandshehri Muhajir Madani. Translated into English by Mufti Afzal Hossen Elias. Complete guide to Hajj containing Hajj laws and rules. 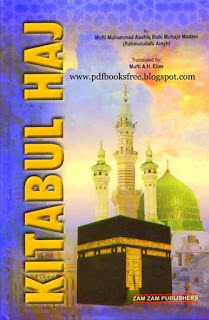 Kitabul Hajj book is based on the Hanfi Fiqah only. Ulama may refer to Durre Mukhtaar, Raddul Mukhtaar, the Marginal notes of Shaami, Hedaya Vol. One, Fataawa Alamgiri and Ghuniyatul Manaasik. Visit the following link to read online / free download in pdf format.